Ready to sing the Monorail song? 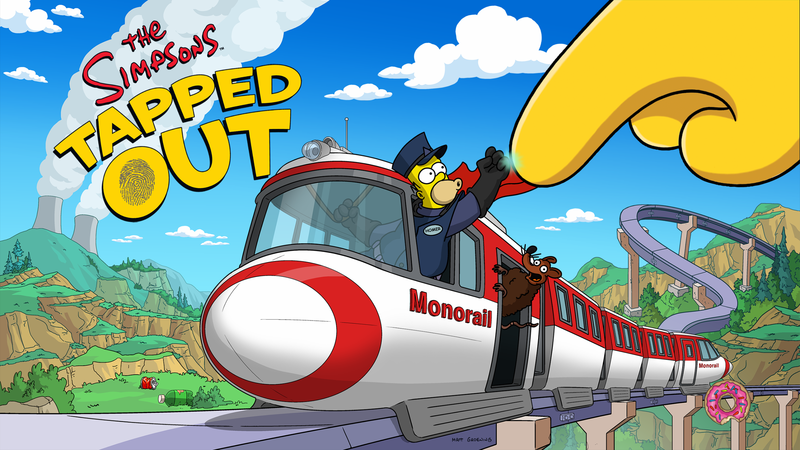 EA finally released the long-waited Monorail in this summer event and we’re all ready to design our town around it. Are you ready? Then join us right after the jump for the kwik-tap guide for the main questline of the first Quest Chain! The following icons will indicate: Who triggers the quest, which characters can be sent, the task to be performed, the time needed, the location. So we are only able to complete 2 projects in 1 day? It seems that was a change from a couple days ago, where I could turn in metal/trash for blueprints several times. 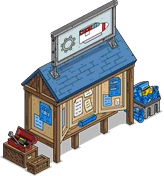 We have 9 more days and 7 prizes, but are limited on the number of blueprints earned per day. I am maxed out “Full” on my Metal and Trash after only a few hours playing, and don’t have anything else to do! I was maxed out in a couple of hours and nothing else to do on the event until tomorrow. Slightly frustrating but hope the daily limit isn’t going to limit us from getting all the Act prizes. Friends visits gets a few more as do possums but not compared to the projects. I don’t get the project board. It seems like it’s our primary source of event currency (blueprints), but its rules and limits are totally unclear to me. I understand that you get a bonus for finishing 2 projects in one day, and donuts for each 10 projects (plus a few resources). But there seems to be some kind of limit on the projects you can finish in one day. Yesterday, I did 17 projects and could have done much more, but the board just said something about Sebastian Cobb needing a break. Today, I got the same message after 6 projects. Does anyone know what that’s all about? For me, this means that in the next 17 hours, I have two full depots and nothing I can do with them. Same! I did 2 projects (the “Major Gizmo”) and now can’t do any more. So, I had a look at Topix’ competition (I’m so sorry, the devil made me do it – your own fault though, you didn’t have the information I needed). It seems there is a daily limit of 4500 blueprints that can be earned via the project board, starting on August 11. This seems to include the daily bonus of 1200 blueprints, but if you don’t hit the limit one day, you can catch up the next day. So this explains why I could finish so many projects yesterday (I had one day to catch up) and so few today. In order to get my donuts quickly, I’m going to do the cheapest projects. There seem to be only 3 parts to the project management quest in the first act of the event, so after finishing part 3 I might switch to bigger projects. As I said, the daily limit is 4500 blueprints. Looking through the picture reel, am I right in thinking that there is going to be 4 stations in total (3 regular and 1 premium)? Also will there be a way to buy track pieces of is it just through event prizes? I’m trying to plan out my monorail so this would be useful to know beforehand. there seems to be a way in act 3 to create them yes. Yeah, the lack of track line overall, and the inability to control how many of each piece-shape we might get, is a huge hindrance to setting up the decorations for this event. Worse than the boardwalk tiles, even. Is that it though? Questlines seem to be getting shorter this year. I was thinking it combines the worst aspects of everything we’ve seen in the last year. You’ve got a questline that’s too short (Clones), an over-emphasis on crafting (all of them, really, but mainly Terwilligers and Heights), prizes that aren’t much use (Clones, Halloween, and Christmas), too many glitches (Christmas), overpriced premium items (it’s been a steadily increasing problem for a long time now), too few new characters (several, but Clones and Tap Ball come to mind right away), neglecting Krustyland (everything, but it would fit particularly well here), not getting the appropriate character (Bender from the Futurama tie-in, Lyle Langley now), and diminishing returns on visiting friends that drop off so steeply it makes the game’s social aspect hardly worthwhile (everything in the last year BUT Clones). Worst of all is the lack of focus. During the Terwilligers event, we just wanted to get to Bob, but we had to keep wasting time with one-off characters from forgettable episodes and, worse still, those stupid walking corn stalks. At least those corn stalks were from an episode that Bob actually appeared in, though; with the exception of the eleventh-hour addition of the Shadow Knight, Clones didn’t have any Simpsons content at all. Now I just want to build the Monorail, but all I’m doing is playing with garbage. Come on!